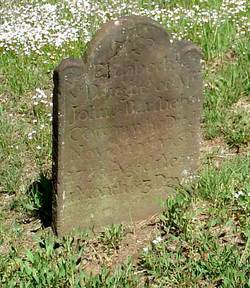 Nathan Gold, Jr. died 288 years ago today in 1723 at the age of 60 in Fairfield, CT. Nathan Jr. is the boys' 9th great-grandfather. He married his first wife Hannah Talcott May 14, 1686 in Fair field CT. They begot 6 or 7 children before she died in childbirth. He then married Sarah Cook and begot 4 or 5 more children. Interestingly, Nathan served as Deputy and Lieutenant-Governor of the colonial state of Connecticut from 1708 until his death in 1723. James Payne Savage died 137 years ago today in 1874. James is Tara and Calum's 4th great-grandfather, the father of Frances Marion Savage. Joseph P. Starling died 117 years ago today in 1894. Joseph is the kids' 3rd great-granduncle, the brother of Alice Cora Starling.